For information about Oracle training classes, visit RIT's Center for Professional Development (CPD). The Technology/Computer Skills cluster contains course descriptions and class schedules. 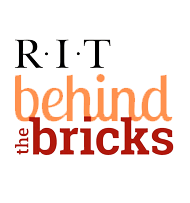 Accounting and RIT's Center for Professional Development have collaborated to develop a series of workshops designed to familiarize employees with RIT's accounting processes. To obtain information about the workshops, visit the CPD. TheTechnology/Computer Skills cluster contains course descriptions and class schedules. The Sponsored Programs Accounting & Regulatory Certification (SPARC) training program is specifically designed for department administrators and other staff who provide direct post award fiscal and administrative support of sponsored projects to Principal Investigators. To obtain information about the workshops, visit the Center for Professional Development. The Enhancing Faculty & Staff Performance cluster contains course descriptions and class schedules.